Love Fridays, first of all its pizza and a movie night. Home made grain free cauliflower pizza no less, its delish I promise. You can throw it together in a jiffy no kneading or rising required its super yummy! Secondly its snugging down on the sofa night, with the kiddos who if the truth by told would rather be chasing foxes outside than snuggling with their mamma – but hey they have little choice! Not sure on the movie choice yet, I’m hoping for something thriller ish! Which brings me neatly onto the topic of today – the TV. 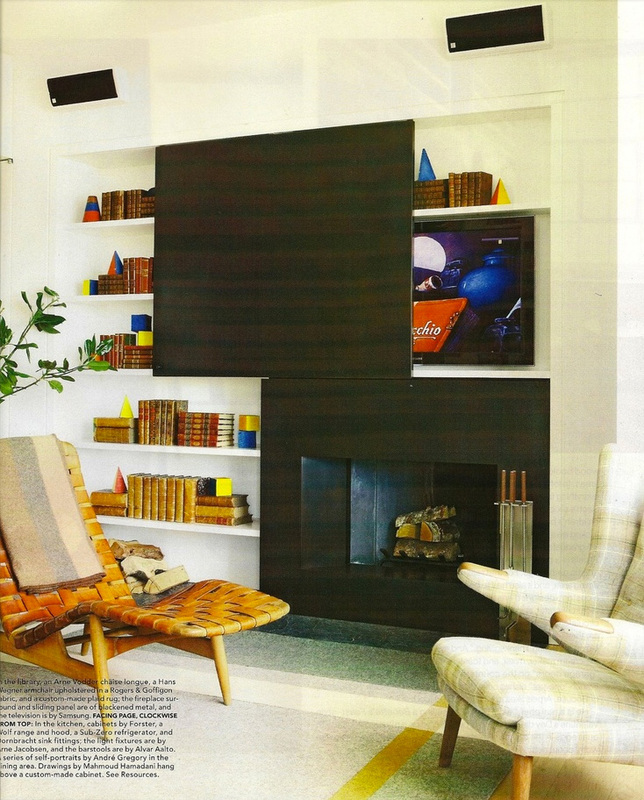 To conceal or not to conceal the TV that is the question? Where do you guys sit? Do you conceal so it pops out, drops down or slides out? Or is is simply sitting slap bang in the middle of the wall. The big no no for me at least is making the TV the focal point because I hate to say its darn ugly. When we lived Stateside lots of our clients had TV rooms which sort of solved the problem in that you shut the door on them, but then I found no one ever used their living rooms, they became almost museum like so it actually didn’t really solve the problem. Plus the TV rooms had the largest sofa, the biggest sofas and that was it. Yuk! 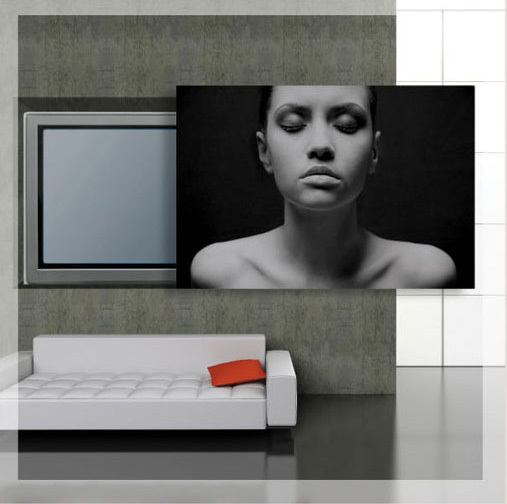 Or you could cover the TV with a motorized canvas painting. 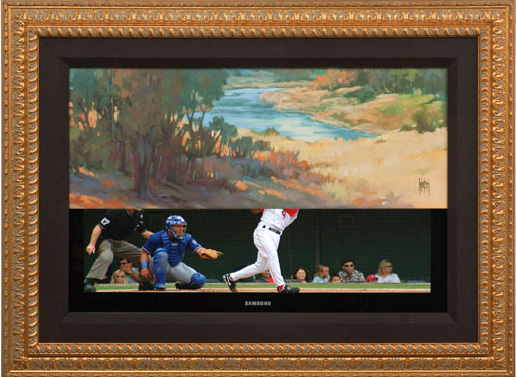 Its literally installed inside a slim housing that mounts at the top of the TV, the canvas rolls down over the screen on command from a remote control. When you’re ready to watch, another press of a button lifts the canvas into the housing. Companies like Media Decor and VisionArt (American) offer a variety of motorized artwork, but I’m sure you can get something similar pretty much anywhere! Have a lovely weekend, we’re not working this weekend so its a two day break which hasn’t happened in ages. Cannot wait! Hi Abigail…do you have a recipe for that cauliflower pizza? Thanx! 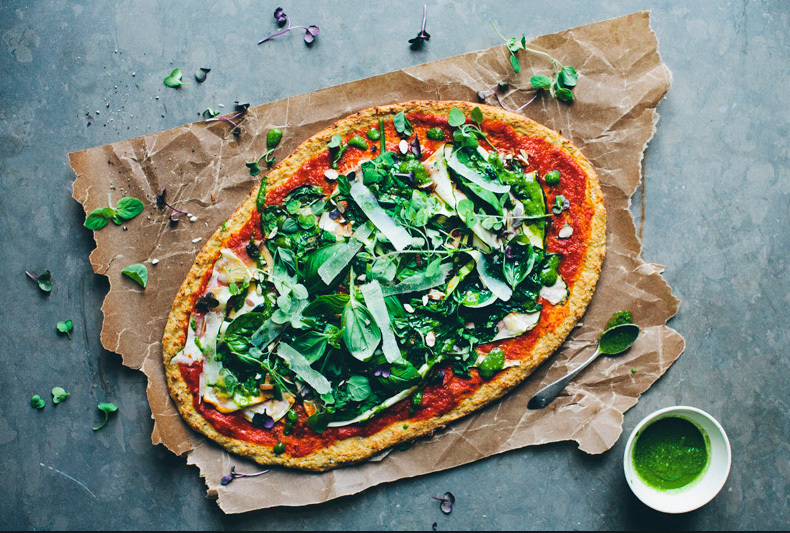 The pizza looks incredible–I can’t believe the “dough” is all cauliflower! I will have to try this and I love concealed TV’s! Hi Abigail, I don’t suppose you have a source for the pizza recipe??? Sounds yummy! Thanks, Em.